Locals hungry for a captivating evening of exciting words and delicious pie should clear their calendar for Poetry and Pi(E) With Dasha Kelly Hamilton on Thursday, March 14, at 5:30pm. Presented by the Chippewa Valley Writers Guild and The Wisconsin Academy of Sciences, Arts & Letters, the event offers you a chance to hear one of Wisconsin’s most compelling writers, along with coffee from Eau Claire’s SHIFT Cyclery and Coffee Bar and pie from Randy’s Family Restaurant. 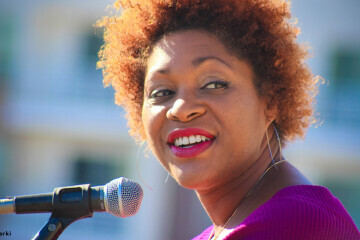 Dasha Kelly Hamilton is a poet, writer, artist, and founder of Stillwaters Collective – an arts outreach and community-building initiative (learn more at dashakelly.com). Writers Guild director B.J. 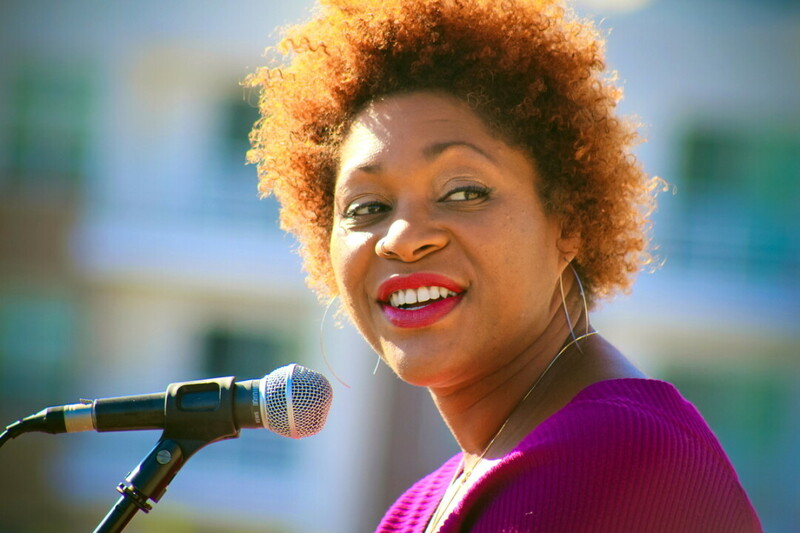 Hollars says, “Her work has been hailed far and wide, from appearances on HBO’s Def Poetry Jam to being named Artist of the Year by the city of Milwaukee. I think Dasha’s work transcends poetry. She’s a creative change agent, and someone who, as she puts it, ‘seeks to amplify community connections.’ ” Part of an initiative from The Wisconsin Academy of Sciences, Arts & Letters, the Poetry and Pi(E) series aims to highlight interdisciplinary collaborations. “Our world is richer when we see value in what others do,” Hollars explains. Tickets are available now: $8 for Guild and Academy members, $10 for the general public. The event will take place in Clearwater Room at the Pablo Center at the Confluence. Tickets can be purchased online (pablocenter.org), in person (128 Graham Ave., Eau Claire), and via phone (715-492-0934).